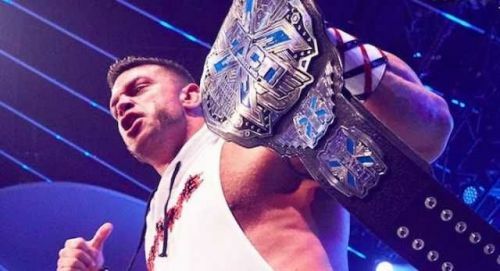 Brian Cage is the current Impact X-Divison Champion and one of the hottest superstars on the indipendant circuit. Not only has he defeated top stars like Bobby Lashley and Rey Fenix, he is also a staple on the Lucha Underground promotion. Also known as The Machine, Cage has been making waves all around and is even called the next Brock Lesnar by many. SK: With Impact having tapings in Canada and now Mexico, does Impact have any plans of coming back to India? Josh Mathews: Not that I know of now. As soon as we know, we'll let you guys know. I've mentioned before how much I love India and how much we loved the experience and I can't wait to go back. SK: You are the current X-Division Champion, so I'd like to ask you if you had the chance to face one X-Division legend of the past, who would it be? Brian Cage: AJ Styles, hands down. He has been my life long dream match and I'd say he was THE X-division Champion and he probably one of the best three wrestlers going on today, so it has to be Styles, no doubt. Brian Cage vs AJ Styles is surely a match many of us would love to see and it is guaranteed to entertain. Hopefully, Brian Cage gets his wish soon and we can see these two X-Division icons face off against each other. Who would you like to see Brian Cage compete against Styles and who should he defend his championship against next? Let us know in the comments section. Sportskeeda gives you the latest Wrestling News, rumors and updates.